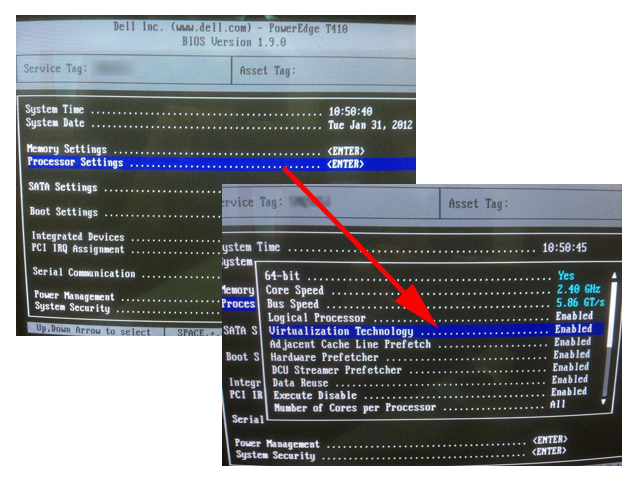 Seen while installing vSphere ESX 5 (In this case, on a Dell Power Edge). 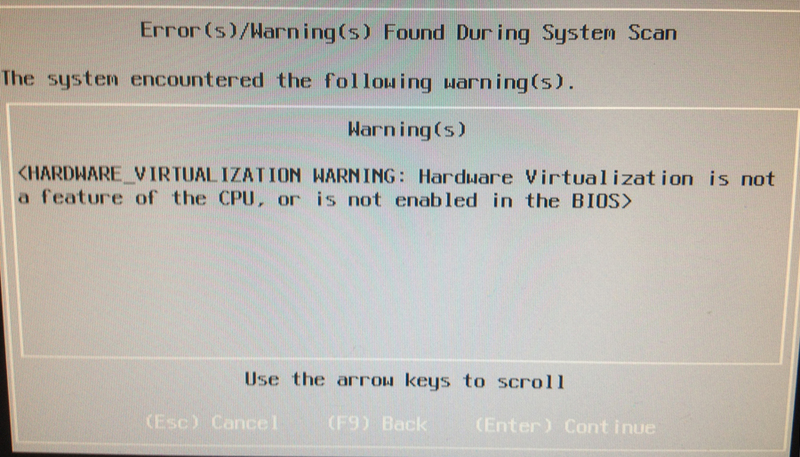 Unless you have a “quite old” server, you simply need to enable “virtualization Technology” in the machines BIOS. 1. 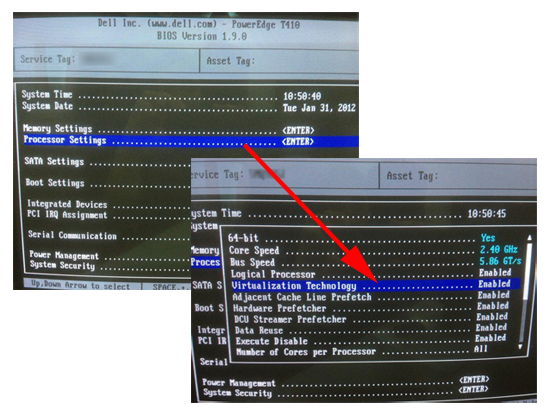 On this machine (Dell PowerEdge T410) enter the BIOS > Navigate to Processor Settings > Virtualization Technology > Set to Enabled. Note: You can check Intel Processors for Virtualization Technology Support here, and for AMD Processors go here.